Boxer Naman Tanwar claimed India's first boxing medal on Friday in the ongoing Commonwealth Games in men's 91kg category at Gold Coast. The 19-year old was outclassed by his Australian opponent Jason Whateley in the semi-finals of men's 91kg bout at Gold Coast. In his road to success at the Commonwealth Games, Tanwar kick-started his campaign with an easy win over Tanzania’s Haruna Mhando by a unanimous verdict. For the 19-year old, the Gold Coast games turned out as the highlight for his long promising career which just took a blistering start with a bronze. Boxer Naman Tanwar claimed India’s first boxing medal on Friday in the ongoing Commonwealth Games in men’s 91kg category at Gold Coast. The 19-year old was outclassed by his Australian opponent Jason Whateley in the semi-finals of men’s 91kg bout at Gold Coast. Tanwar, who won bronze in the 2016 AIBA World Youth Championship in 2016 was decimated 4-0 by the Australian in the semis. In his road to success at the Commonwealth Games, Tanwar kick-started his campaign with an easy win over Tanzania’s Haruna Mhando by a unanimous verdict. Tanwar’s medal hungry attitude served him right earlier as the Haryana boxer had assured his bronze finish at Gold Coast. Samoa’s Frank Masoe was caught by a surprise by Naman, who made a striking difference in his bout with his agile abilities. 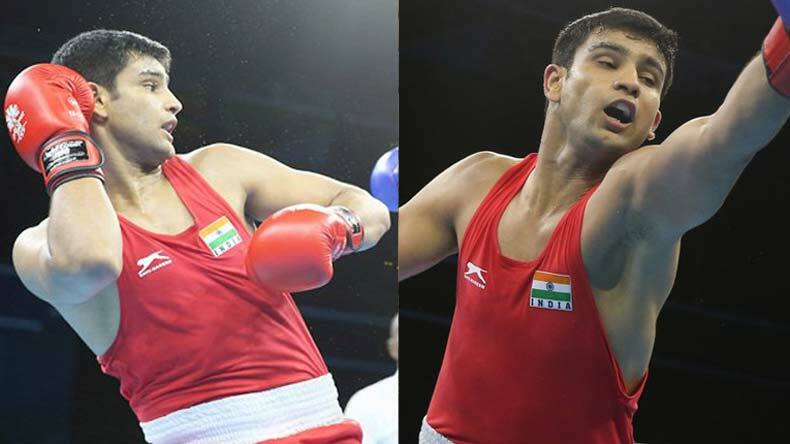 The Indian boxer had ease-past his opponent 5-0 to confirm his place in the semis. For the 19-year old, the Gold Coast games turned out as the highlight for his long promising career which just took a blistering start with a bronze. The Indian contingent started their Day 9 proceedings at Gold Coast with a gold and silver in women’s 50 m rifle shooting event. Tejaswini Sawant clinches ser CWG record to take home gold while her counterpart Anjum won silver at Gold Coast. Triple jumper Rakesh Babu and race walker Irfan Kolothum Thodi have been kicked out of the ongoing Commonwealth Games at Gold Coast for violating the Commonwealth Games Federation’s (CGF) no-needle policy. As a result, both the athletes will vacate the Games village with immediate effect and will board the first flight to India from Australia.